I wanted to make some distance today, and got up at 4am. 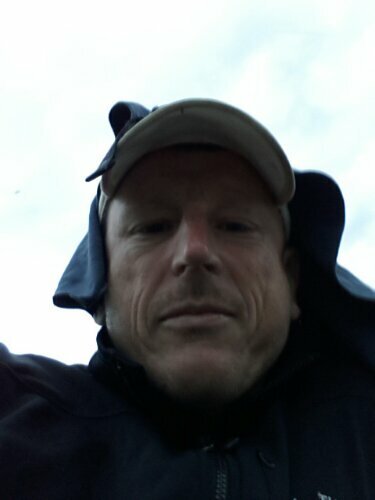 The mosquitos gave me a very vigorous welcome, which called for the full attire. 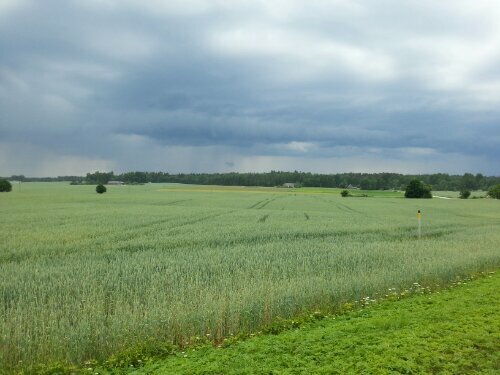 I was leaving Lithuania. Goodbye to all the things that have accompanied me on my short stay here. 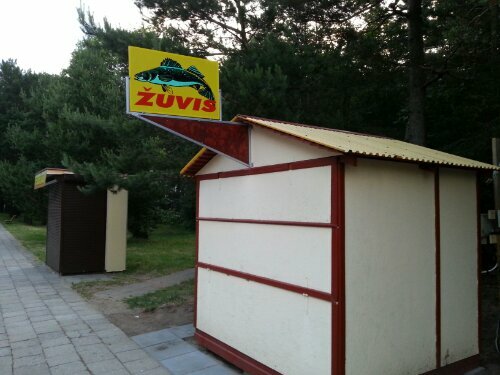 The zuvis (smoked fish) signs that were absolutely everywhere. Goodbye to the excellent bike path signage. I crossed the border and things changed. Yes, the road became more potholed, but, everything also felt wilder – close to nature. 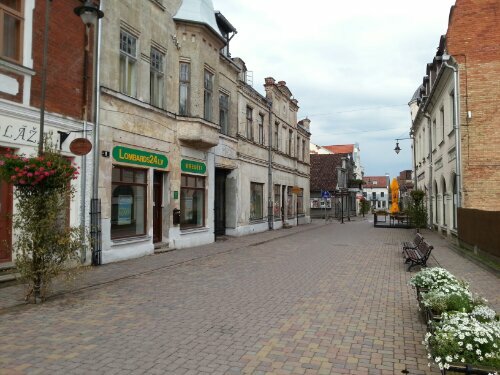 I was on the main road between Klaipeda and Liepaja – Latvia’s third biggest city. The road was wide, and it followed a broad gap ploughed through the forest. The stretches were long. Around each bend was more empty road, and more forest. On and on. I had given gas, and was proud to reach Liepaja by 9. Cycling through the town was weird. 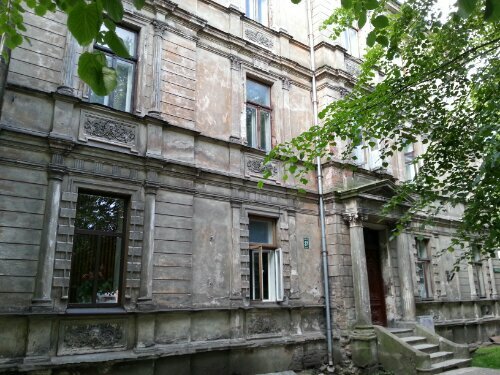 There are so many abandoned and rundown beautiful houses. It must have been grand in it’s day. 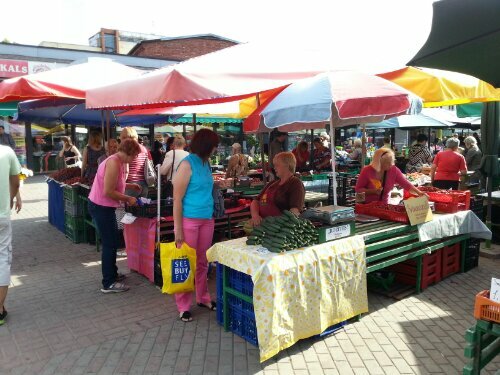 I found the market square and bought a large snack of fresh fruit. 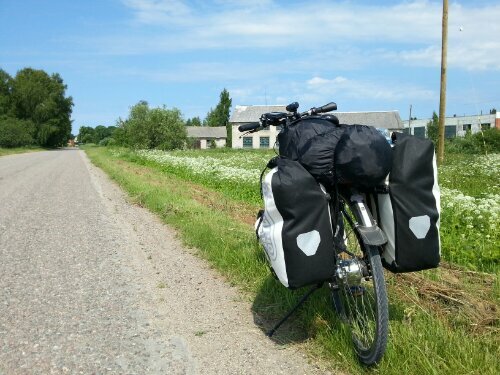 The road recommended by in my cycling book (the long distance cycle route from Berlin to St Petersburg) was a gravel road. The book says some cyclists complain about the road, but it really isn’t that bad. All 25km of it. 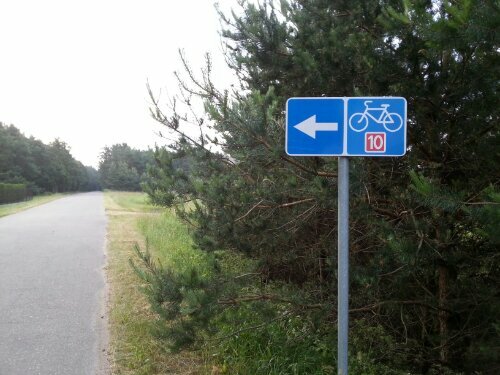 Well – it was the cycling road from Hell (and not the Highway to Hel in Poland). Huge corrigations that shook me and my bike through to my bones. And there was no escape for 10km. And these were the kms leading up to my 2000km mark. 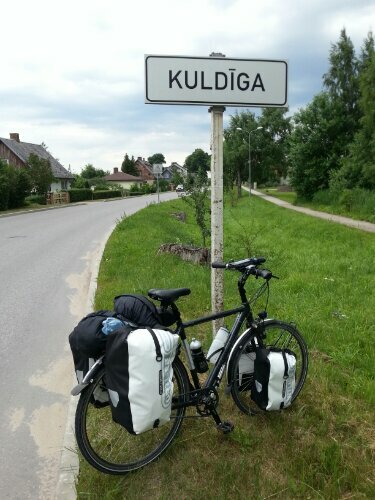 Would I be on a dreadful road after 2000km just like after 1000km in Poland? No. I escaped a few hundred metres before the 2000km ticked over. Then back to the road and the heat. In through the forest. Only short stops to throw down some Müsli bars before being attacked by massive flesh eating flies that lurk in the forest, but that can’t keep up with my cycling speed. Lunch in the small seaside town of Pavilosta before further on to Kuldiga. 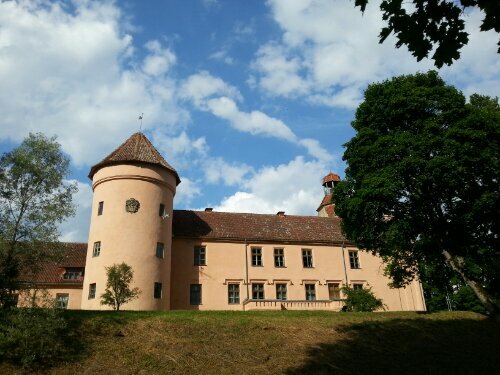 The road to Kuldiga is known for its nice mansions. I missed some of them (didn’t notice them) but did see a few. 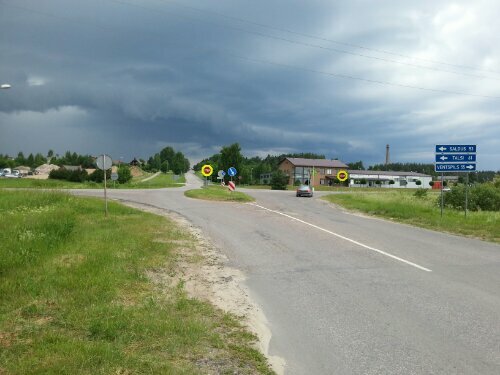 The rain clouds were forming as I reached Kuldiga and it started teeming 2 minutes before I reached the hotel. And stopped for a look at the town. In Latvia, midsummer night is as important as Christmas, so I’ve been told multiple times. Cars were flying around today decked in leafy branches attached to the bonnets or the windscreen, the bumper bars or the boots. People were picking flowers in the fields all day, and were walking around with wreaths of leaves and flowers in their hair. 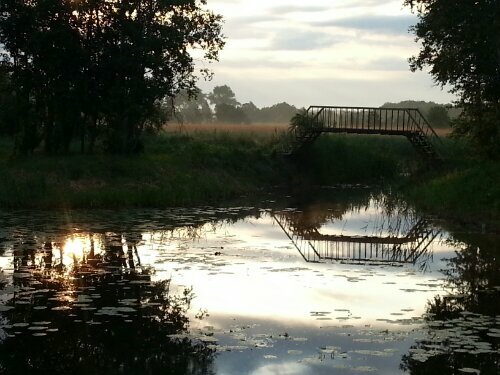 Midsummer night features bonfires, dancing to latvian folk music and a lot of drinking. 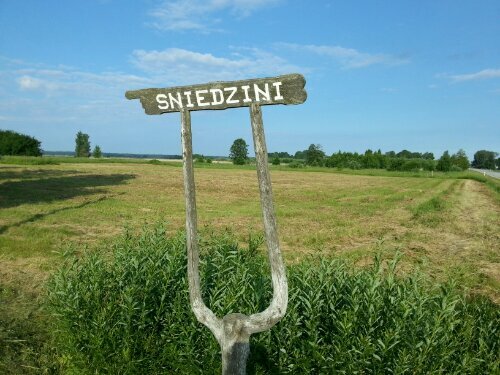 And in Kuldiga, it features running naked across the bridge in the town, in the official midsummer night naked race at 3am. Well, when in Rome.. 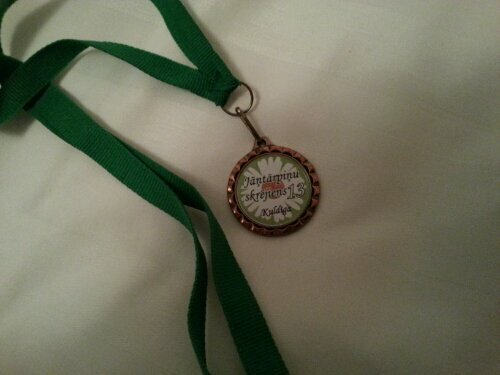 I will treasure this medal. 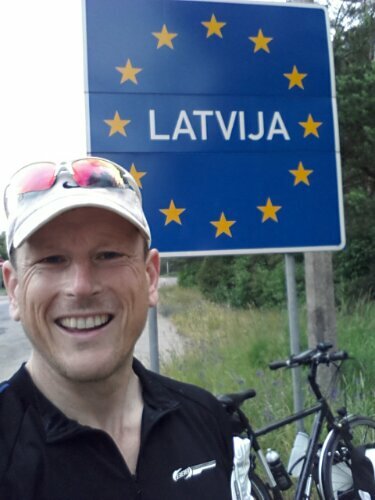 I cycled 2100km for it!